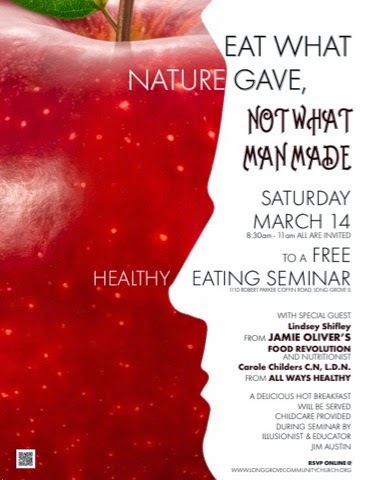 Saturday Seminar | Eating Healthy is for Everyone! 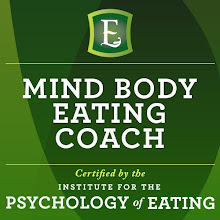 So honored to speak at the Long Grove Community Church this weekend with Nutritionist Carole Childers - Come see us!! I'm thrilled to announce a big win for school food transparency! 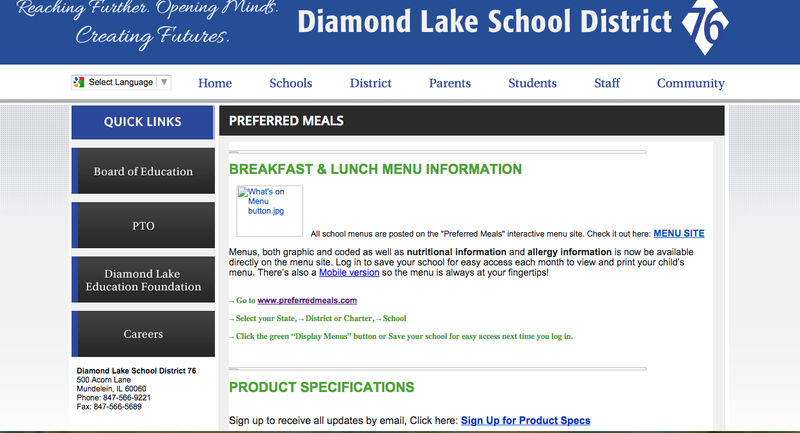 District 76 parents and staff now have access to Preferred Meals' school food ingredient lists (product specs). At this time, parents or staff simply login and request product specifications available through the District's website shown above. "As we work with Preferred Meals to get additional information about the ingredients in the food provided through the meal program, we will be able to include that on the webpage." How awesome is that!? 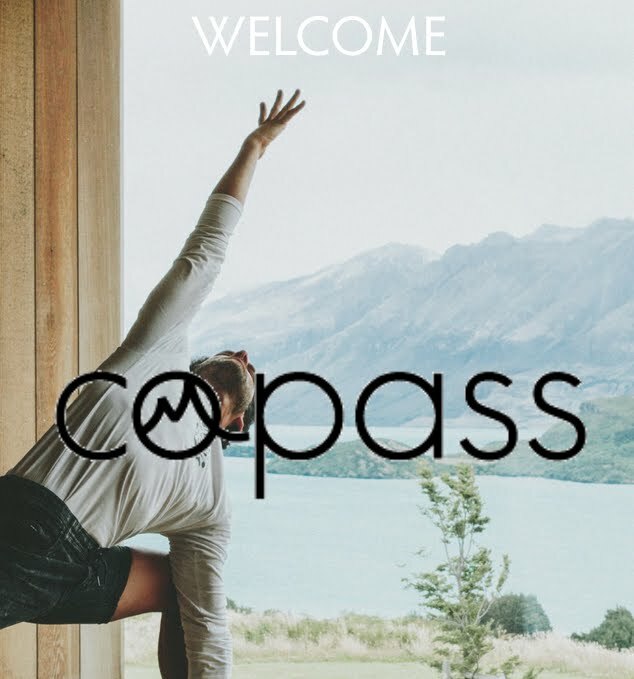 I just signed up myself and I'm looking forward to getting updates! Thank you District 76 and Preferred Meals for making this happen! Speaking of FOOD, mark your calendars everyone!!! Click the above picture or go here to read about what myself and some of our global Food Revolution Ambassadors have begun planning for Food Revolution Day coming up on Friday, May 15th!